Light Weight only 1 lb. Operates on X band at 10.525 ghz. Needs no recalibration with normal use. Will Clock Bat Swing Speed. Powered by two 9 volt batteries. Battery Life , trigger mode – 20 hours , continous mode – 2 hours. Speed range from 10 MPH to over 255 MPH ( 16 – 402 KPH). 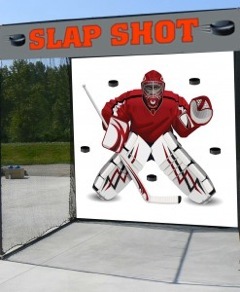 Distance Range Sports-up to 60 ft. balls/pucks NEW FEATURE. Distance Range Automobiles – up to 1200 ft NEW FEATURE. One Year Full Manufacturer’s Warranty. Low speed measurement of 2 MPH +. For upgrade call to purchase 800-914-4008. 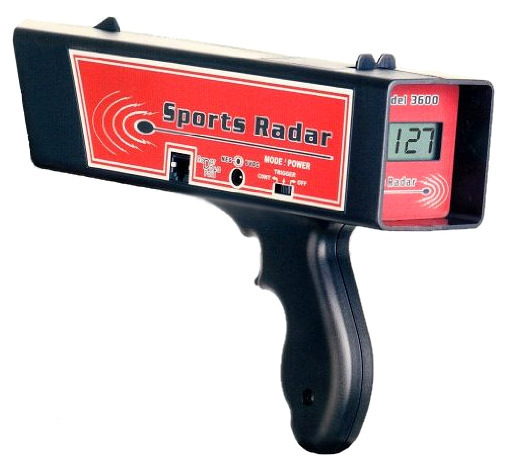 The SR3600 Sports Radar Gun is a highly accurate speed measurement instrument with professional results. 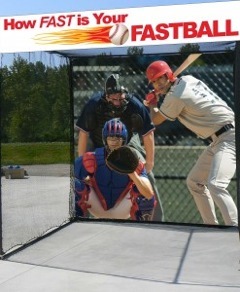 Whether it is for baseball, softball, car racing, tennis, soccer or even hockey just aim and pull the trigger. Within milliseconds, the SR3600 Radar Gun gives you an accurate speed between 10 and 250 miles per hour. This radar gun offers dual direction sensing allowing the target to come towards you or away from you.. 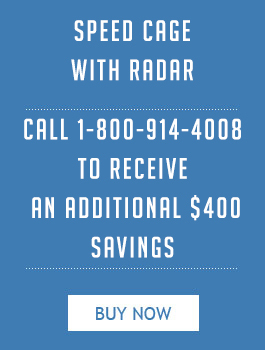 The SR3600 radar gun will accurately measure the speed of any object with a distance range of 60 ft for a baseball to 1200 feet for an automobile. As you target gets larger , no matter what the object ,the range or distance from which you can get a reading grows. Customized software, sophisticated algorithms and the highly sensitive transmitter/receiver make the SR3600 accurate to 1 mph. 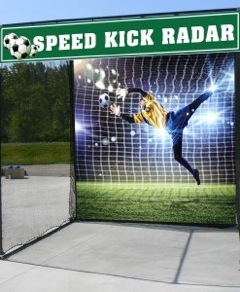 The SR3600 sports radar gun will also read and display in KmH. 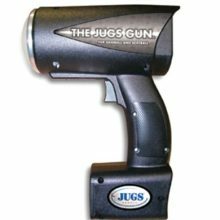 The radar gun can be mounted on a tripod and placed in the trigger or continuous mode, powered by 2 9V batteries or an AC adaptor. This offers 20 hours of trigger operation of 4 hours of constant use. The SR3600 operates on the X Band, at 10.525 ghz. 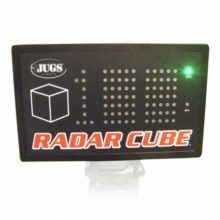 For balls and pucks, an effective range is 60 feet and for cars and large vehicles it measures accurately at 1,200 feet. 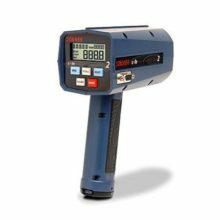 The SR3600 Radar Gun is a precision teaching tool, accurate, portable and easy to use. 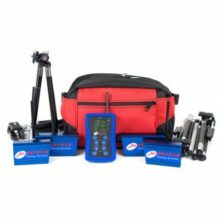 There is no recalibration for normal use, comes with a full year manufacturer’s warranty . Its high impact polymer housing makes it durable in all environments. The SR3600 Radar Gun is at home on the baseball diamond or the race track, tennis court or the hockey rink. If the question is how fast it’s going, the answer is the SR3600 Radar Gun.